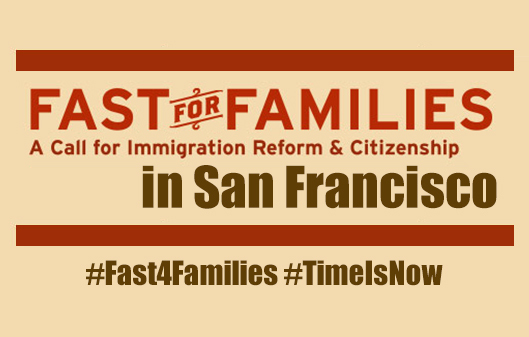 CAA is hosting a community event today at 5pm to support the nationwide Fast for Families campaign. Fast for Families started on November 12 in Washington DC where several community leaders ate no food to raise awareness of our broken immigration system and call on the White House and Congress to pass reform. CAA’s executive director Vincent Pan has been fasting since Thanksgiving to support these efforts. He is on his 11th day. Others in the San Francisco community have also been fasting for 24 hours or more. Today, we have invited leaders who have been fasting, and those who support their efforts, to come together at our office. We will be hosting an event at 5pm to break our fast together as a community who stands for immigrant rights and reform. Please join us for this event if you can. More details below.